Hi there, we’re AMC Rugby! So uhh what ya wearing? Sorry, side tracked. 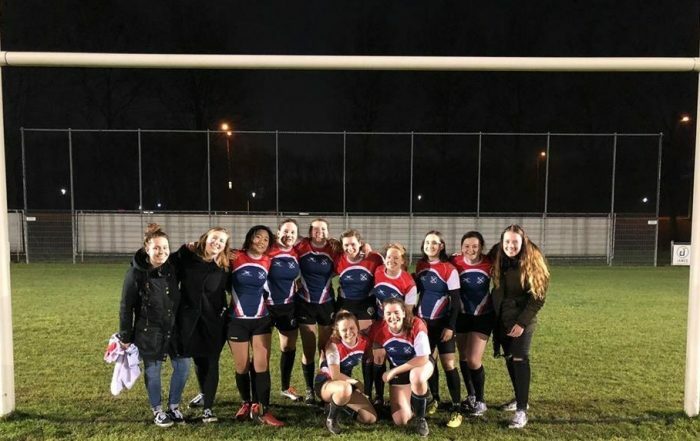 We’re a new club, founded by a group of Dutch and British students in Amsterdam who wanted to play rugby but weren’t content with the limited options out there. We’re always on the lookout for fellow conspirators..
No superstitions and voodoo magic for us. Everything from our training regime, match performance, injury prevention, through to nutrition intake is scientifically underpinned. Sharing is caring though so we’ll be keeping you up to date on the newest techniques plus we have regular guest posts from experts in the field. Here’s your first lesson: that’s not a rugby ball. Phew, that could have been embarrassing. Don’t worry about it though, we totally have your back. Read through our tutorials and we’ll get you up and running in no time (unless you’re a forward.. sorry, rugby joke, we’ll get to that in due course). Remember, the first step is admitting.. I know nothing about rugby.. Interested in joining a training? Great! We train every Monday, starting at 19:00. You are always free to join us during a training! Just contact us and we will make sure you have a great training during your monday evening!